Dental insurance can greatly reduce treatment costs, especially in the event of an emergency. We accept most PPO insurances. Call for details. Our staff will gladly help with any questions you may have regarding your dental insurance coverage. No insurance? No problem! Payment plans are available through Care Credit. Please ask for an application. Find out more at www.carecredit.com. 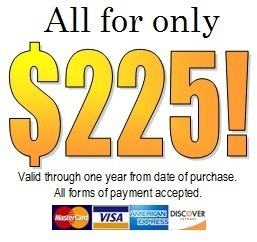 pre-paying for one year of preventative and exam services. Copyright © 2019 Tao Sun, DDS. All rights reserved.